The new sand-colored wing of the Mason Library at Keene State College stands out among the redbrick of other buildings on campus. Director of the Cohen Center Hank Knight was on the board responsible for designing the building. “The light-colored brick is evocative of Jerusalem Stone,” said Knight. According to Knight, the brick reflects the light in a similar way to the stone and has the added benefit of not eroding in New England’s weather. “The brick evokes the warm golden hue of Jerusalem stone, especially in direct sunlight, reminding viewers of Jerusalem’s identification as the City of Gold – a designation honored by Judaism, Christianity, and Islam as well as representing Jerusalem’s image as a historic symbol of hope,” said Knight. Knight said that the new wing will not only enhance the Cohen Center’s work but will also raise its profile in the community and nationally. Professor of Holocaust and Genocide Studies Jim Waller was also involved in the design of the building. “Jerusalem Stone has some deep meaning in terms of the Holocaust and the connections that go with the Jewish identity,” said Waller. As said by Waller, the use of Jerusalem stone was done at the behest of the donors, Rick and Jan Cohen, for the project. The new wing will house the Cohen Center for Holocaust and Genocide Studies and the Department of Holocaust and Genocide Studies (HGS) program at Keene State College. 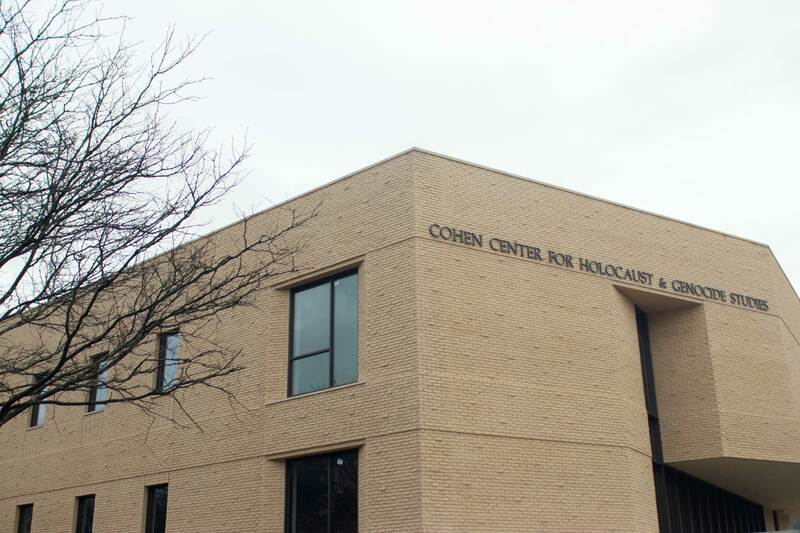 The Cohen Center is located on the first floor while the Holocaust and Genocide Studies program is located on the second. The unique design of the building sets it apart from others on campus and holds a significance unique to the programs it will house. “It intentionally avoids right angles,” said Knight. This, Knight said, was because they wanted to avoid any resemblance to Nazi architecture during the Holocaust. Rick and Jan Cohen, the donors who funded the project, along with a council of Cohen Center member and HGS staff, decided on the inside and outside aesthetics of the building. The Construction clerk of Works at Keene State College Colin Burdick oversaw the project. “There was more outside involvement in terms of designing the look. There was an intentional design aspect to make it stand out a little more instead of just red brick,” said Burdick. According to Burdick, the building is 95 percent complete with outside landscaping being the last major hurdle. The building should be done before graduation, said Burdick. 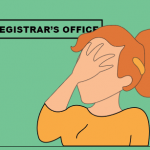 While some classes were originally planned to start in the center after spring break, the decision was made to have classes pushed to next fall instead, said Burdick. The shift was made because while the interior is almost complete, it still requires a few touch ups. On Saturday, April 6, there will be ribbon cutting ceremony for the new wing which will include an open house.